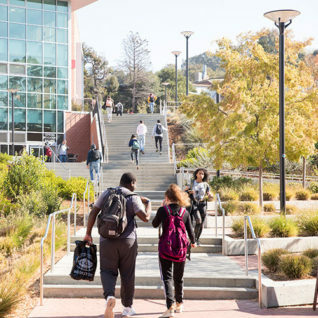 You might notice a few interesting improvements around the Contra Costa College campus this year, like soundproofing of the tutoring area, and a new state-of-the-art drinking fountain in the Student Services Building. Those are just two of the eight projects being funded in 2019 through the Contra Costa College Foundation’s new Program Innovation Fund (PIF) and Program and Operations Fund (POF). The funds will also bolster student services by ensuring that every EOPS student receives financial literacy through SparkPoint, and providing translation of DACA student resources. They will support other projects that benefit students and the school as well, like a video showcase series, a symposium for African American students, and an innovative art and biology partnership in support of online learning. To date, the Contra Costa College Foundation has primarily supported school in two ways. Its now one-and-a-half-year-old Wrap Around Fund helps struggling students to stay in school through small grants. And, its longtime student scholarship program is on track to give away $185,000 through 85 different scholarships in 2019. The PIF and the POF will allow the foundation to expand its support into other important areas of need around campus. The foundation will evaluate this pilot program over the coming months, to see if any tweaks are needed. Their hope is that projects funded by the PIF and POF will have a long lasting impact on the College, benefiting CCC students for years to come.